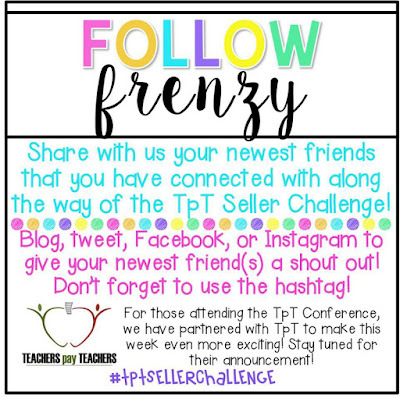 So, this weeks challenge is all about the great new bloggers and friends we have made connecting through the challenge in one way or another. I've connected with SO many great teachers! 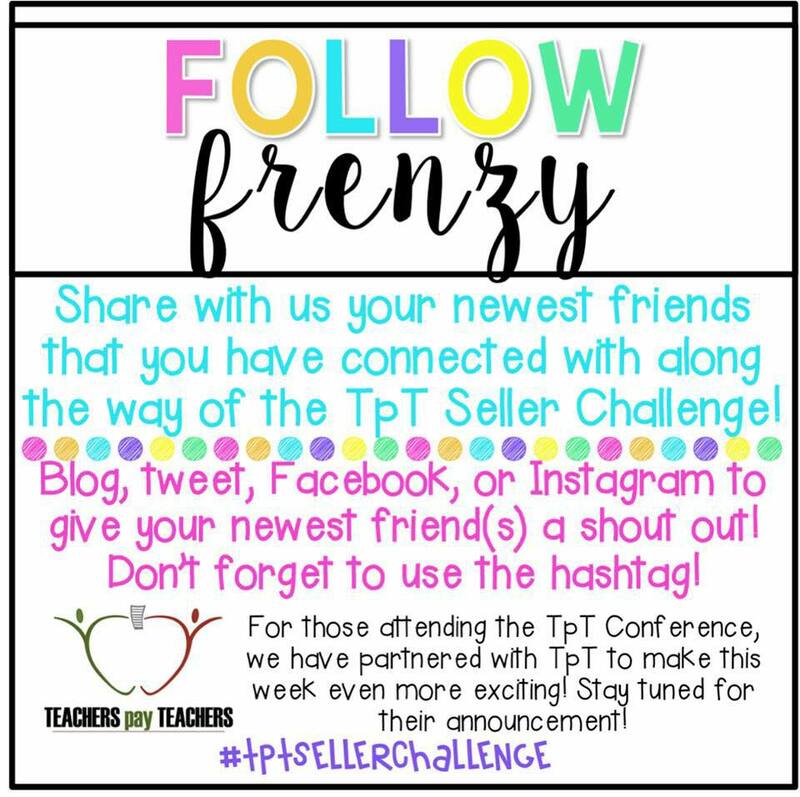 This challenge has made me hop on board to more social media with my store- Instagram, Twitter and, a totally new one- Periscope! If you've never heard of Periscope it's pretty neat. It's an app that is basically a way for people to connect LIVE via video. You can make a video and your followers will be notified when you are live. They can hop on to watch and interact with you in real time by typing you questions, making comments, etc. It's so cool! I heard about it from Angie (Little Lucky Learners) and Ashley (Shroeder Shenanigans in 2nd) who are periscoping live from Las Vegas! It's super neat because you can totally feel the excitement in Las Vegas and their enthusiasm. I totally want to meet them next year when I'm in Vegas! I've had so much fun getting a sneak peek into their worlds. While they are periscoping live you can chime in and comment, reply to others commenting and follow them on Periscope too. I've found a lot of great bloggers that I can't wait to connect with just by following Angie and Ashley's Periscopes. I've also been so lucky to connect with Anna from Hanging with Mrs. Hulsey through the Make our Masterpiece challenge. She's awesome and I can't wait to collaborate more with her in the future. I've even been able to join some fun new Facebook groups geared for teachers that are now stay at home moms. I can't wait to see what I can learn from them! Follow some of my new friends! I love Instagram and I definitely think you all should follow them there too. I feel like Instagram really helps me feel like like "know" everyone. It's cool like that. One thing I know is that teachers love to work together, are some of the friendliest people out there and love to find others that speak their own language. It's all about the teacher talk- and no one else can quite get it. 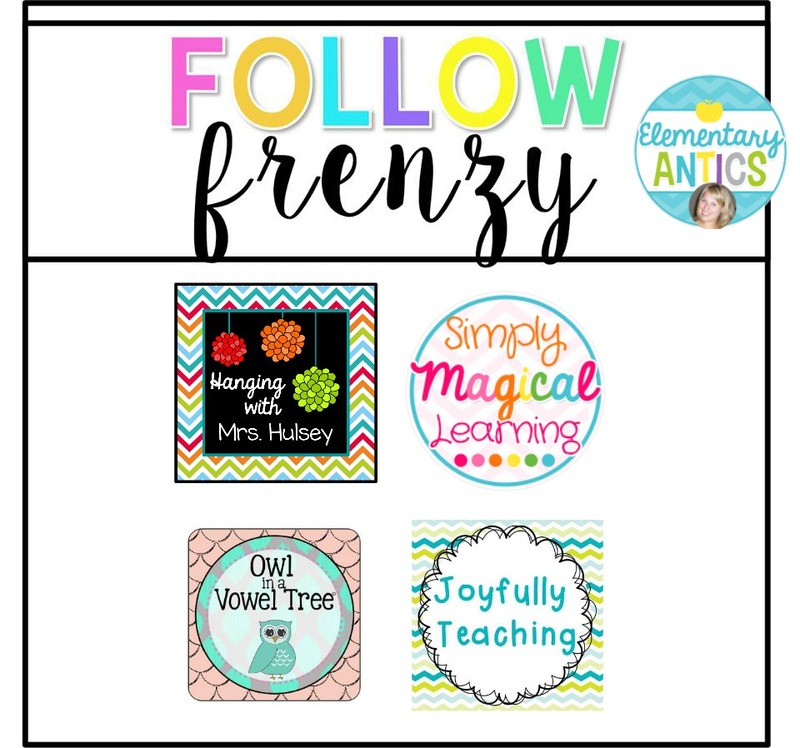 So, give me more ways to have more teacher friends and I'll take it!